There’s nothing like the joy of giving a gift that’s well received – so this season, we’re giving you the gift of confidence. 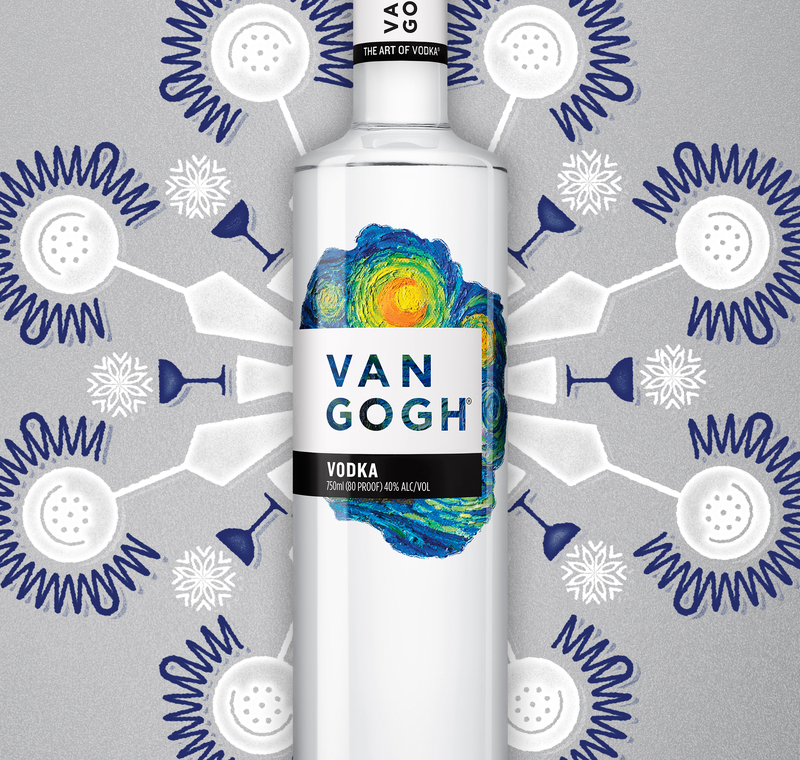 With our premium, award-winning vodka in every bottle, you can give Van Gogh Vodka with the assurance that your friends and family will love it, or we’ll refund your money. If you as the purchaser are not satisfied in any manner with your purchase of Van Gogh Vodka please download and fill out the form using the link below to be reimbursed up to $27.99 of your total, pre-taxed purchase price of any one bottle (750mL or 1L). Buy: Any one 750mL or 1L bottle of Van Gogh Vodka. Print: Download and print the rebate form if you are dissatisfied in any manner with your purchase of the package. Original store identified receipt dated between November 1, 2018 and December 31, 2018 with the qualifying Van Gogh Vodka product and purchase price circled. Receive: A rebate check for up to $27.99 of the total purchase price pre-tax, via mail.